A lot of people seem confused about why clones seem to get so much hype, and then immediately dump and 95% of the people who bought into them get screwed out of all their money. In ctrl+c ctrl+v clones, the only reason you would copy/paste the code is ultimately built around one concept: Greed. That greed forces them to make decisions that actually circumvent extremely important parts of the P3D math and this circumvention of the math results in the crash of the contract. Greed is actually a real mathematical equation I had to work with during the development of P3D, and if you remove the elements I placed to hamper greed in the contract, you mathematically guarantee the contract will crash. 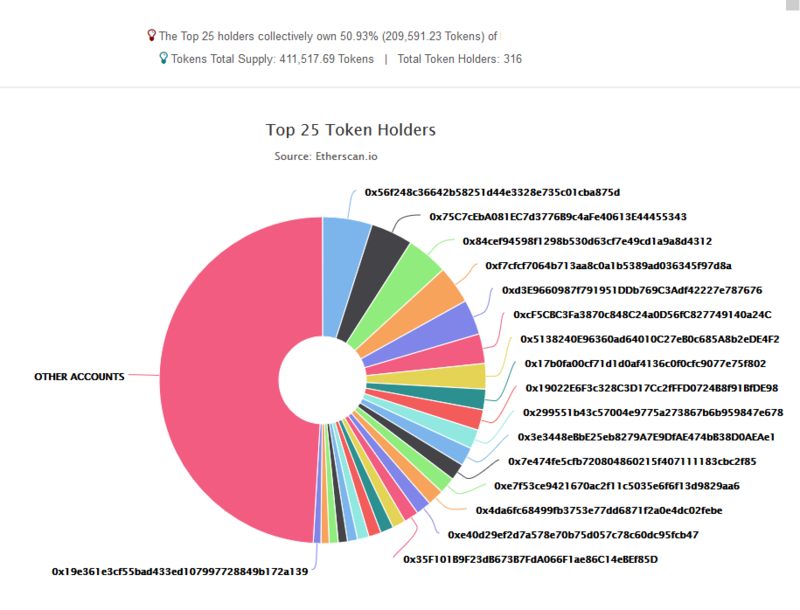 It's mostly to do with token distribution, in P3D we take the concept of decentralization to heart, and in the launch token-burn (where tokens were overcoming the initial scaling and were cheaper) is not only split by code across 25+ different wallets, but even after the code was no longer limiting it, 45 additional users only purchased in with 1 ETH.This decentralization of token holders is an integral component of the P3D math and guarantees that not only is the contract run by the Ethereum network in a decentralized way, but the actual early owners of the tokens are decentralized themselves. With no one player holding enough of a stake to harm anything if they sell. To launch P3D we understood that it was a game that runs entirely on greed, but we as developers could not launch it with greedy intentions or else it would collapse. This is what clones do not understand, and in trying to launch a clone with greed, you doom the entire project to fail. For those of you looking at "other" projects, here's a quick comparison of a clone contract that removed those anti-whale features. It should be instantly apparent what's wrong with this chart. It's not just me saying this because (as they'll claim) we're vehement, or malicious or just plain jealous. It's a mathematical fact The top positions are owned by so few people (and those people have multiple wallets) that it's a centralized contract, with centralized ownership. Meaning it's guaranteed failure if any of those "owners" sell. To make the issue worse, token scaling at such low eth levels in the contract is volatile, which means that if any of them sell, they'll take anywhere from 10-20% of the total eth in the contract and start a cascading chain of events that quickly leaves everyone else holding worthless bags. TLDR; I'm not calling it a scam for any other reason than the math, they broke the math and now it's mathematically guaranteed to crash and hurt people.